Our office is conveniently open evenings and two Saturdays per month. 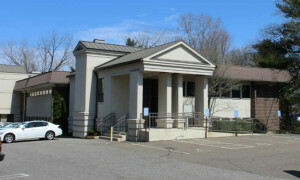 Our Orange, CT dental practice is open convenient hours. We are one of the few family owned dental practice in the greater New Haven area with Saturday and evening hours. Friday: open 8:00 AM to 12:00 noon on two Fridays per month, most often on the Fridays preceding the Saturdays that we are open. Saturday: 8:00 AM to 2:00 PM on the first and third Saturday of each month. As indicated, our dentist office is open on two Saturdays each month for patients unable to visit the dentist during the work week. That schedule will vary if that weekend falls on a major holiday (such as the 4th of July). The two Saturdays in April when we will be open are: Saturday April 6th and Saturday April 20th, 2019. The two Saturdays in May when we will be open are: Saturday May 4th and Saturday May 18th, 2019. The two Saturdays in June when we will be open are: Saturday June 1st and Saturday June 22nd, 2019. Dr. Nicholas Calcaterra is on call for patients of record.